Money is never enough, and you need it all the time, earning it online by just being at home is all you need. 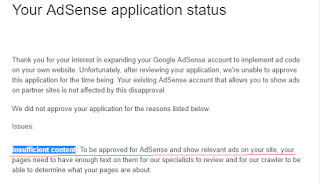 Earning it from Google AdSense from blog is not a cake walk as you have to approve your site from Google AdSense. 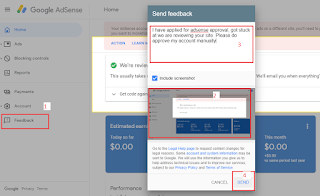 I will unlock this for you by breaking the ice of We’re Reviewing your site AdSense approval issue. From my college days and even before that I saw people passionate about art or dance or abstract things. I was passionate about technology and I love to share it with people, what a great deal is to earn from your passion. I came across people earning a fair deal after publishing some content online as internet is so vast it will always have traffic coming and going as we have so many people live on internet. All of this I came to know by observing things over internet itself and I have then come across people that are very popular online through their content and earning more than $100,000 per month and that has inspired me so much and keep me inspired today also so I have thought to inspire some more. 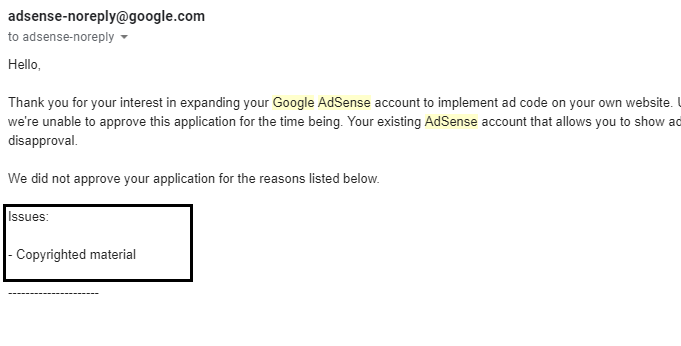 I got this mail when my blog just had 6-7 posts which are less than 500 words each, so I increased my post content quality & number of words up to 600 average and again applied for AdSense approval once completed 25 posts. 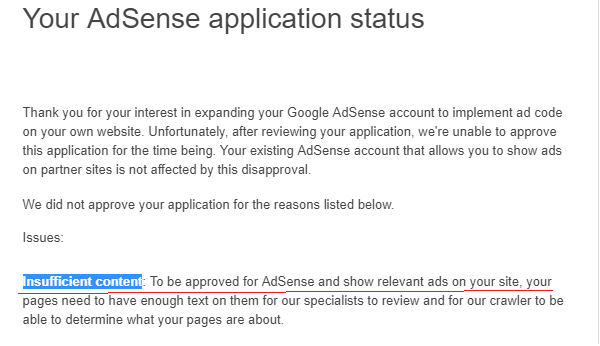 For resolving this issue, signed up for Google Search Console and analyzed my website for 1 month and again applied for AdSense approval. 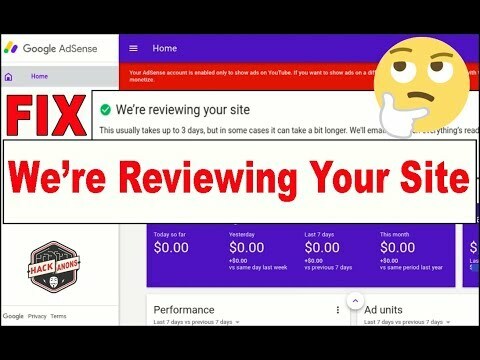 We’re reviewing your site it might take up to 3 days. Then you give feedback on their site that you have applied for approval of AdSense and you haven’t been notified anything yet. You can add the screen shot of your application and till then keep on adding more post and articles, make it reader interactive and useful make it as good as possible. 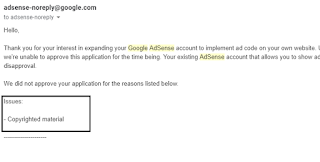 Second way is create email for you mother or sister and then using that mail you apply again for the approval you can do using your another existing mail too if they already have it, there is no issue in using some of your relatives mail as you will anyway get paid in the account you wish to give to AdSense then you will get your approval in just few days. And BAM you are ready to earn, you can connect to me at any point you feel difficulty in doing anything. See you again with some cram breaking topic.